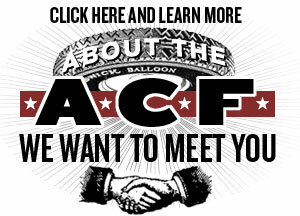 If you’ve been following along on this series, you’re probably starting to notice a common thread among the early cars of the Rat Rod movement: they’re all well-built and their owners never really considered them “finished.” See, the point was, 15 years ago, that a custom or hot rod didn’t have to be finished within an inch of its life to be driven and enjoyed. 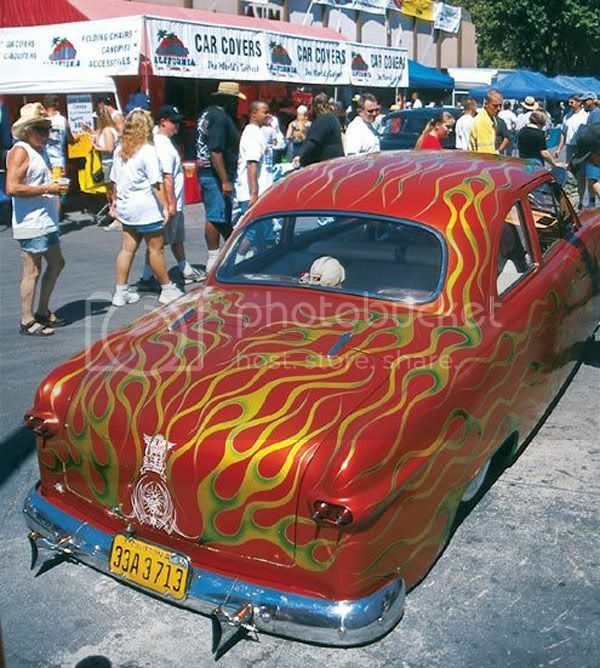 You could see the finished car in your head, but you didn’t have to wait till it was done to take it to a show or whatever. The point was absolutely NOT to build the shittiest car you could, ignore time-tested aesthetics and mechanical geometry, cover yourself with neck-bombs and vintage-ized CBGB t-shirts and roll out to some rock-a-silly reunion with everyone doing the same thing and spend all night convincing yourself how much of an individual you are. Wait –– where were we? Oh, yeah. 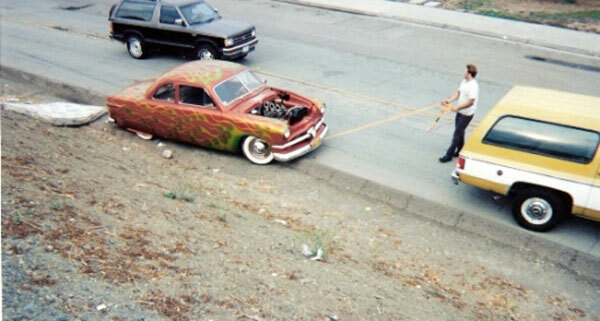 The original Rat Rods. They weren’t all hot rods, either. There were plenty of full-fendered coupes that made early impressions on the young scene. San Jose, CA’s Steve Sellers built and drove one of the most well-known coupes that got coverage in the very few magazines that dared cover such things in the mid to late Nineties. 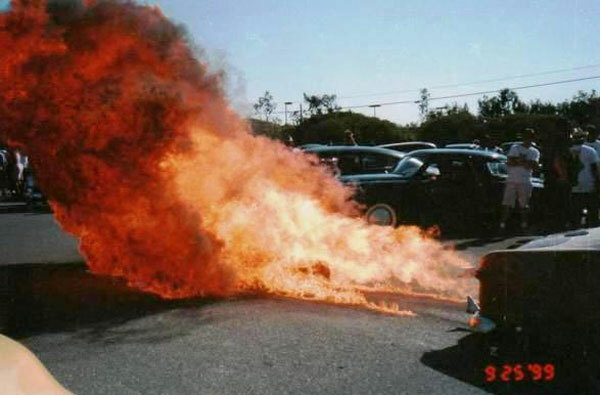 And not just for the gi-normous flames or tire smoke his car could and would spew at the pleasure of any gathered crowd. 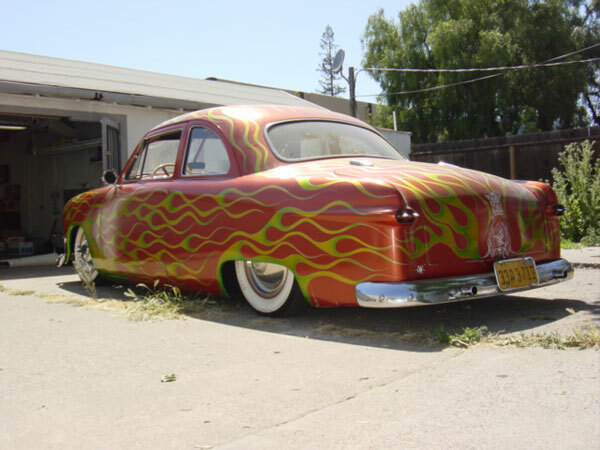 Steve’s car –– a 1950 Ford Business Coupe –– embodied the spirit of those early days of Ratrodding the way few other full-fendered cars did. 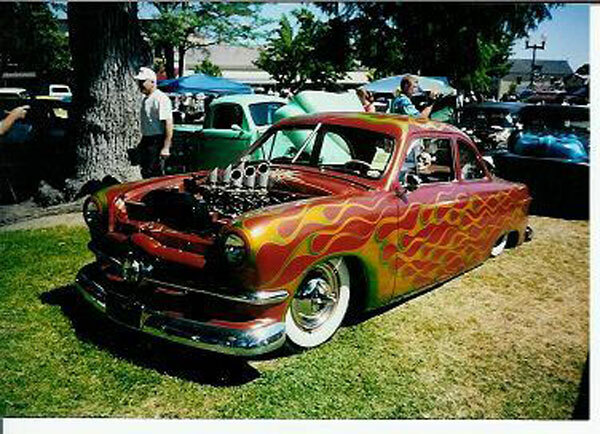 And he drew from a few different influences in ways just not seen much when he debuted the car at the very first Billetproof car show in 1997: tail-dragging, C-notched frame in the spirit of the San Jose-area lowriders of the Seventies, a stout Chevy 350 topped with an Edelbrock X-1 intake and six Stromberg carbs like it was done in the late Sixties, those unforgettable seaweed flames that painters like Larry Watson made popular in the early Sixties and a ton of Fifties-era influences like the full wheel covers and whale-tail motorcycle tailpipe tips. 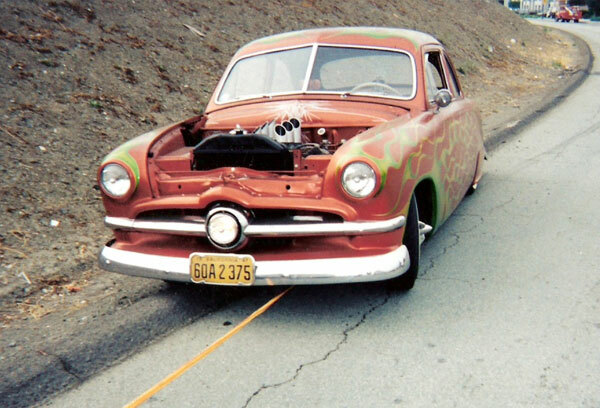 Pat Lash, who painted the car copper before the Bay Area’s Notcho laid down the seaweed flames, helped him get the car to that first Billetproof and the event was recorded in the second (and last) issue of Hot Rod Deluxe –– the first newsstand magazine dedicated to the young movement. 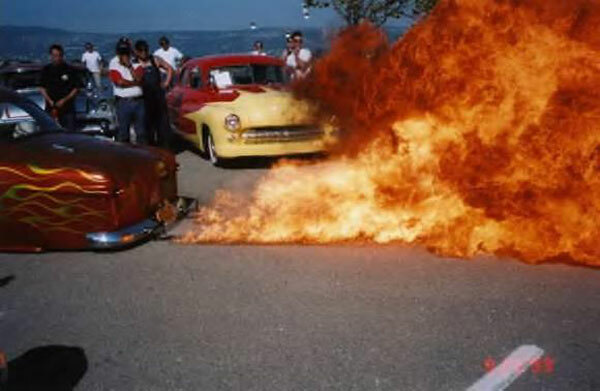 A now-infamous photograph of Steve’s coupe belching out a 10-foot ball of flames while onlookers watch him casually sit in the driver’s seat with the door eased open has become an iconic image that sums up what the movement was all about. Steve not only drove the coupe to shows, but he used it as his daily driver for years before retiring it to show/party/midnight run duty. 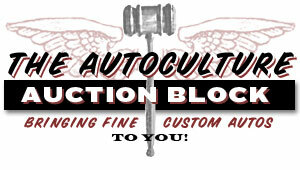 “Drive it like you stole it” was more than just a bumper sticker ethos for Sellers. 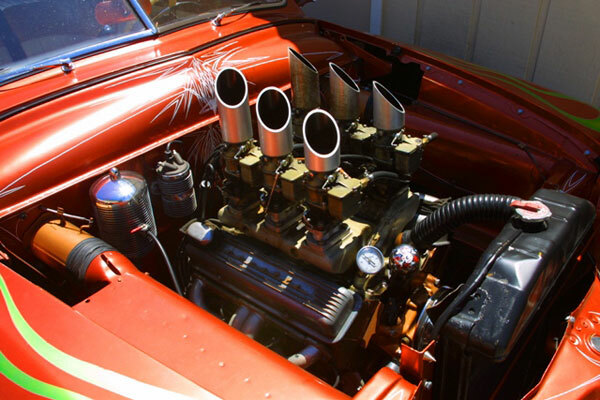 He wasn’t afraid to drive the car hard, have fun and fix things when they broke, smooth out wrinkles when needed and replace motors when they blew. The point was that he was having fun in a well-built, well-styled car that paid homage to the early customizers and was driven daily across the epicenter of the booming dot-com era. An amazing dichotomy, when we pause and consider it. 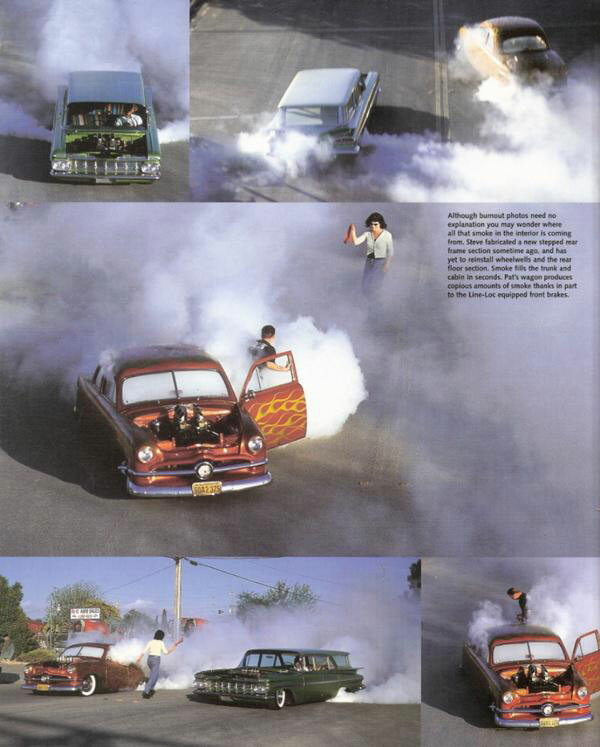 Sure, by the time Steve got his shoebox on the road in ’97, the Rat Rod movement was a force to be reckoned with and there were enough cars being built with the same approach to fill a few car shows (Billetproof, “Paso” and the Shifters’ Anti-Blessing, to name a few). 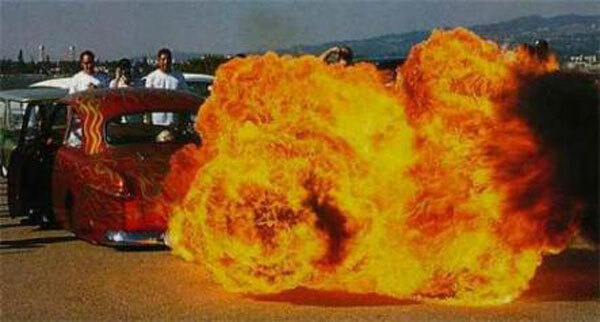 But his hoodless, flamed and flaming coupe touched a nerve in the custom car world that would not soon be forgotten. The copper deal-changer ended up in Japan after Steve sold it in the early 2000s. The car was disassembled, suspension was changed, the seaweed flame-covered copper was scraped off, the wheels and interior were replaced and the only clue to its history that remained intact was the cyclops headlight in the center of the grille. It’s not common for the Japanese to acquire such an iconic machine and change it so dramatically, but that’s the way car culture goes, sometimes. 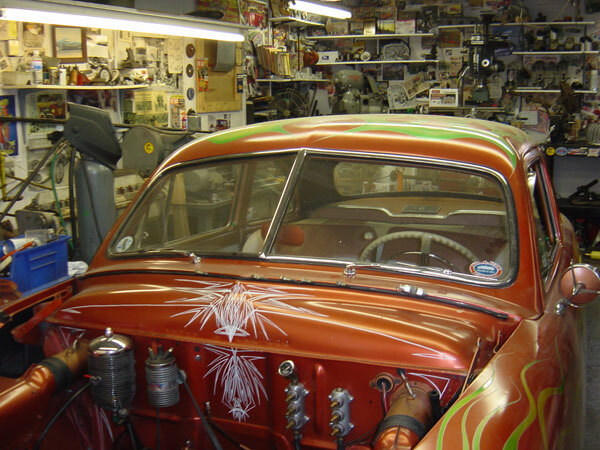 When pressed about the Sellers coupe, Steve will say he “never really finished it.” And really, that’s the point. 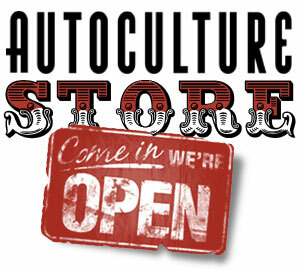 This entry was posted on Saturday, December 26th, 2009 at 1:28 pm and is filed under Culture, History . You can follow any responses to this entry through the RSS 2.0 feed. You can leave a response, or trackback from your own site. 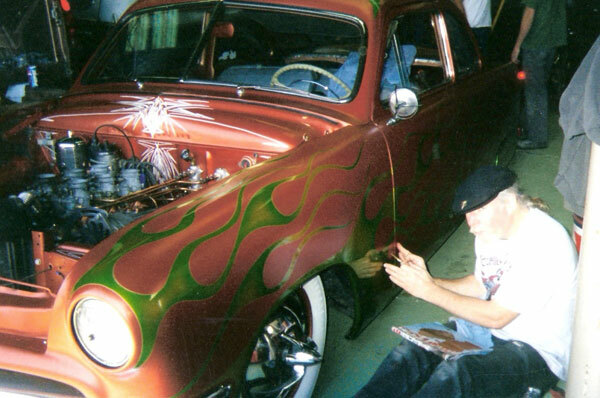 Steve had me come in at various stages of this build to pinstripe here and there. The first was the fire wall when the engine was out. Then we did the pinstripe memorials in honor to friends, and mentors that had passed on the trunk. The last part I striped was the hood , but he ended up leaving that at my shop until he sold the car. 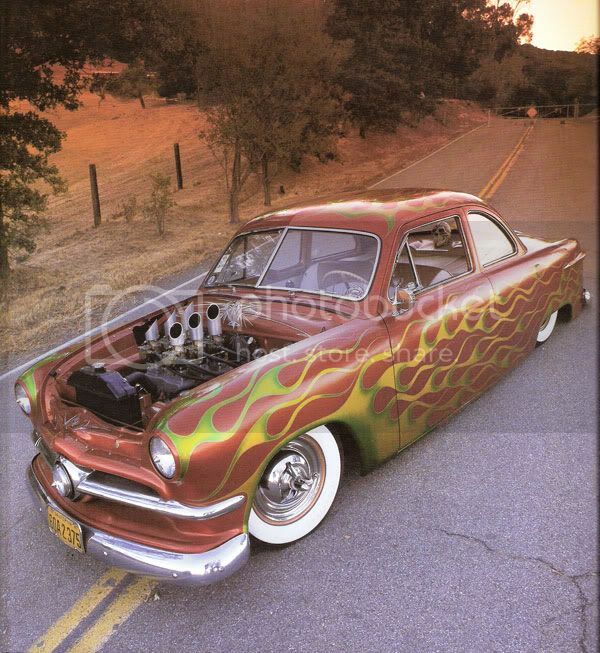 lol He had an aftermarket rocket shaped hood ornament for it that he had me letter, “To DA Moon Alice!” I sat down once and figured out that I had put 40 hours of striping in on this masterpiece. I thank him for bringing me in as a part of his vision. I’m proud of the work I got the privilege to add. … instead you can spend 50 grand on restoring a car when there are children starving in the world and sit around with other middle aged, beer-bellied men whining about how the youth are doing it all wrong whereas the baby boomers got it all right.